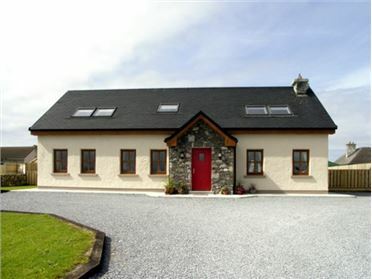 Tig Fada is a charming detached cottage situated four miles from Kilkee in County Clare. This cottage sleeps nine people in four bedrooms, consisting of a double with en-suite bath, two ground floor doubles and a family room with three single beds. The cottage also has a ground floor bathroom and an open plan living area with kitchen, dining area and sitting area with multi-fuel stove. Outside there's ample off road parking and a gravelled courtyard. 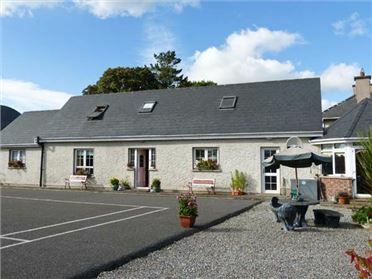 Tig Fada is a lovely base for exploring Clare. 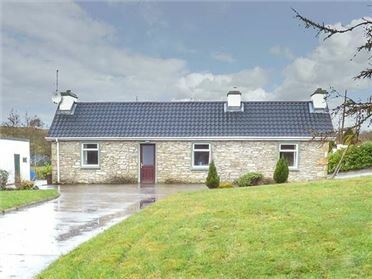 Four bedrooms: 1 x double with en-suite bath, shower over, basin and WC, 2 x ground floor double, 1 x family room with three singles. Ground floor bathroom with bath, shower over, basin and WC. Open plan living area with kitchen, dining area (seats 6) and sitting area (seats 6) with multi-fuel stove. Oil central heating with multi-fuel stove. 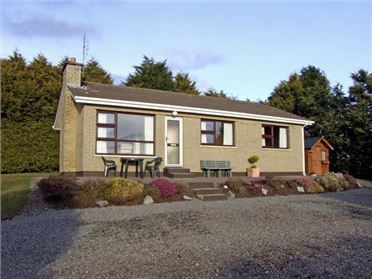 Electric oven and gas hob, microwave, fridge, freezer, washing machine, tumble dryer, dishwasher, TV with Saorview, DVD, selection of DVDs. Fuel, power and starter pack for stove inc. in rent. Bed linen and towels inc. in rent. Ample off road parking. Gravelled courtyard. Sorry, no pets and no smoking. Shop, pub and beach 4 miles. Note: Small ledge at bottom of stairs, by the front door, so please take care.